If you don't receive the registration code, please check your Spam mailbox. The registration codes are valid for lifetime. Free item doesn't have free lifetime upgrade & support. Integrate 25+ analyzing technologies and eliminate 30+ junk types. Perform lossless compression to release up to 75% of your photos' space. Release enormous space by deleting unused third-party apps. Boost your iPhone/iPad/iPod Touch to run like new. Thanks for your interests in iMyfone. The giveaway is over. 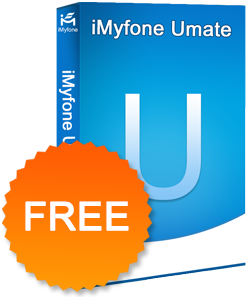 Now only $19.95 to get iMyfone Umate (Original Price: $29.95). Check it out now. I would like to receive news and updates from iMyfone. World's Best Data Recovery Software for iPhone, iPad and iPod Touch. Support various iOS devices including the latest iPhone 6S and 6S Plus. Support iOS 7.0 and iOS 7.0 later including iOS 9.2. Transfer iTunes Music to Android. 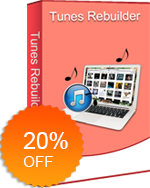 Remove iTunes duplicates and manage iTunes library. 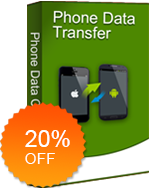 Easy and Safe Data Transfer among Any Mobile Phones. Copy data between iPhone, Android, Nokia & BlackBerry.